Dr. Rao is a Chief Executive Officer at Epsilon Economics and an Adjunct Professor in the Department of Industrial Engineering and Management Sciences at Northwestern University. He specializes in antitrust, intellectual property, and pharmaceutical economics. When teaching for the Master of Engineering Management program (IEMS404: Financial Issues for Engineers) students are given an introduction to modern finance theory and its practical application to real world business decisions. In the course, students learn to evaluate the financial health of companies and learn how to value various kinds of financial and real assets, with a particular emphasis on the valuation of new technologies. Students also learn how to incorporate risk into their financial decision making; how to use simulation in valuation; and how to think of projects as real options. Dr. Rao is a member of the American Economic Association, the Licensing Executives Society (LES), and the Institute of Electrical and Electronics Engineers (IEEE). He is the Chair of the Valuation Committee of LES. 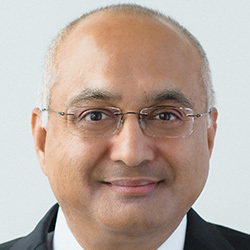 2010 – 2015 Navigant Economics Managing Director Dr Rao has provided expert testimony in cases involving patent infringement, anti trust, false advertising, breach of contract, trademark infringement, reasonable royalty, and employment litigation. 2005 – 2010 LECG global consulting firm Managing Director Dr Rao has provided expert testimony in cases involving patent infringement, anti trust, false advertising, breach of contract, trademark infringement, reasonable royalty, and employment litigation. "Valuing Intellectual Property in Licensing Transactions," The Licensing Journal, June/July 2008. "Economic Analysis in Securities Class Certifications," Litigation Services Handbook: The Role of the Financial Expert, 2008 Supplement, Roman L. Weil, Michael J. Wagner, and Peter B. Frank, Editors, New York: John Wiley, 2008 (with Cathy M. Niden). "Econometric Analysis," Litigation Services Handbook: The Role of the Financial Expert, Fourth Edition, Roman L. Weil, Michael J. Wagner, and Peter B. Frank, Editors, New York: John Wiley, 2007 (with Christian Tregillis).